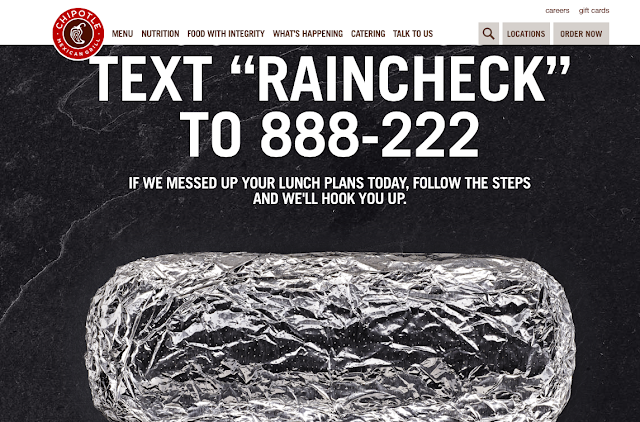 Chipotle: Text for a free burrito! Free Burrito, Burrito Bowl, Salad or Tacos at Chipotle (Text) - For more information! We’ll be reopening today, Feb. 8th, at 3pm (local time) after our company-wide meeting. Hope to see you then.